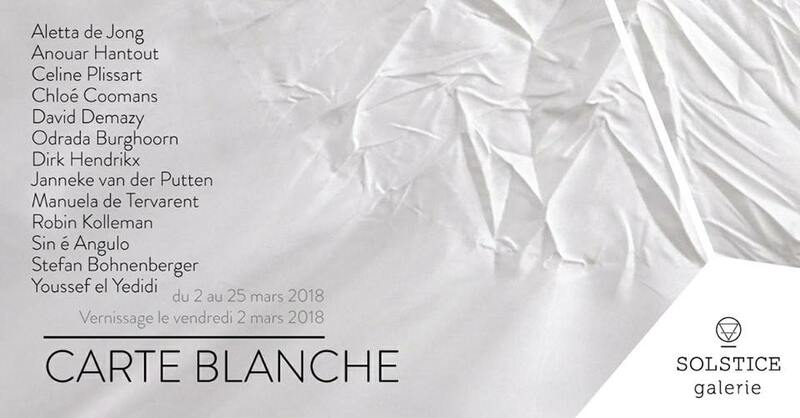 Exhibition of textile work ‘Quitsato’ (2017) in Carte Blanche, a group show curated by Robin Kolleman and Charley Case at Solstice Galerie, Rue de Rollebeek 44, 1000 Brussels (BE). Vernissage 2 March, 18:30. Links FB. Web. Finissage 22 March, 17:00 – 00:00. Link FB. C A R T E B L A N C H EWit, White, Blanco, The Nothing, The color prior creation; the white page.Like Venus, born from sea foam. Symbol of erotics, love and beauty. The selection of works on display here all have their own origin in that. From each individual artist this show represents works which echo the beginning, the white.